Purchased in 1929, there are now 6,217 acres of wetland habitat which includes lakes, sloughs and managed marsh. Background: Purchased in 1929, LBWA was the first of a series of waterfowl refuges established throughout the state to manage habitat for wintering waterfowl. The LBWA habitat plan includes seasonal and permanent wetlands, lakes, sloughs, and upland/grassland pastures. Western pond turtles, raccoons, striped skunks, beavers, muskrats and minks, as well as, over 200 seasonal species of waterfowl, shore birds, upland game birds and song birds are found throughout the area. The Grassland Environmental Education Center was moved to the Los Banos WA in 2007, primarily a school tour facility it will now be open to the general public with noted exceptions (see seasonal closures). The Grassland Environmental Education Center is located on the Van Atta Interpretive Marsh and Trail Area, which contains an ADA marsh surrounded by a gravelled pathway and interpretive signage. Van Atta also contains a larger permanent pond with 2 large viewing platforms, stone benches and picnic tables along a gravelled pathway. As noted, GEECe and Van Atta hours of operation are restricted during school tours and waterfowl Season. Please call (209) 704-4772 for availability information. Viewing Tips: Birding/Nature Study/Sightseeing/Fishing is open to the general public mid-February through mid-September (call 209-826-0463 for specific dates). Waterfowl Season, mid-October through 1st weekend in February. Raccoon, mid-February through the end of March. Cottontail rabbits, July 1st through September 15th. (see www.dfg.ca.gov for specifics on dates). Birding, fishing & hunting are popular at this expansive wetland area & migratory bird habitat. 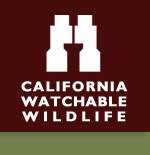 Site Notes: LBWA has over 6000 acres devoted to habitat restoration and maintenance as a migratory bird refuge. Motor vehicles are limited to public access roads, including the auto tour route and 9 area parking lots. Visitors have many areas in which to walk or bike through. Ruth Lake and Buttonwillow Pond attract the American White Pelican and the Western Grebe to its deeper waters. Seasonal marshes play host to local birds such as the American Bittern, Snowy Egrets, Kildeer, American Avocets, Wood Ducks and Mallards, as well as, seasonal migrants. Seasonal: Los Banos Wildlife Area is open to the general public from mid-February through September 15th. The Los Banos Wildlife Area is closed to the general public during Waterfowl Season, from September 15th at sunset to 7 days after Waterfowl Season ends, typically mid-February. The Van Atta Interpretive Marsh is open to the general public Daily from 8am to 4pm except during Waterfowl Season, days reduced to Monday, Tuesday, Thursday and Friday 8am to 4pm. The Grassland Environmental Education Center is open Monday through Friday 9am to 5pm except during school tours and during the Waterfowl Season, days reduced to Monday, Tuesday, Thursday and Friday 9am to 5pm. How to Get There: From Hwy 152 near the E edge of Los Banos, turn N (right turn) on Mercey Springs/Hwy 165,travel N 3 miles and then E (right turn) on Henry Miller Ave for 3/4 mile turn left into entrance. From Freeway 99 take Lander Road exit in Turlock, head South through Hilmar. Continue on Lander/Hwy 165 South for approximately 30 miles. At junction of Hwy 165 and Henry Miller Ave. turn east (left turn) for 3/4 mile, turn left into entrance.